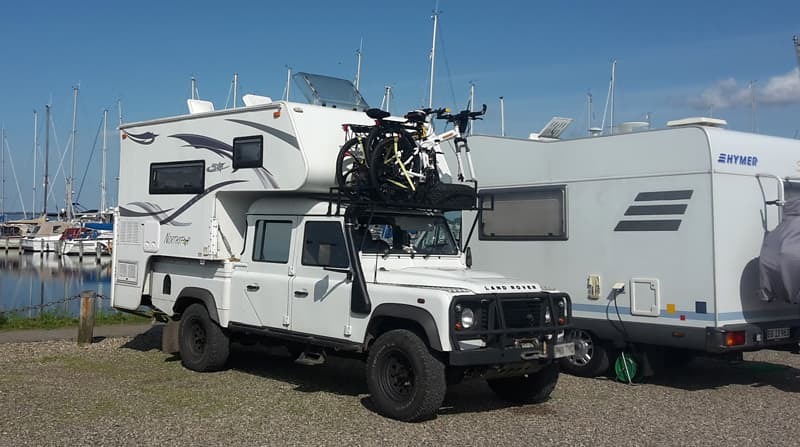 In their Land Rover and Northstar 700DL truck camper, Martin Dover and his wife, Jan, traveled from the United Kingdom to Nordkapp; the European equivalent of Alaska’s Prudhoe Bay. In total, they visited 13 countries and crossed 18 international borders. This is their story. It’s often said that the journey is more important than the destination. This was certainly true for our trip last summer. In our Land Rover Defender and Northstar 700DL, we traveled up through Scandinavia to Nordkapp; the most northerly point on mainland Europe. In many ways, Nordkapp is the European equivalent of Alaska’s Prudhoe Bay. Nordkapp turned out to be a windy, cold, and God forsaken place. Our adventure started in the south of England where we drove to the Dover ferry terminal. The Channel Tunnel, our preferred crossing method, was unfortunately fully booked. 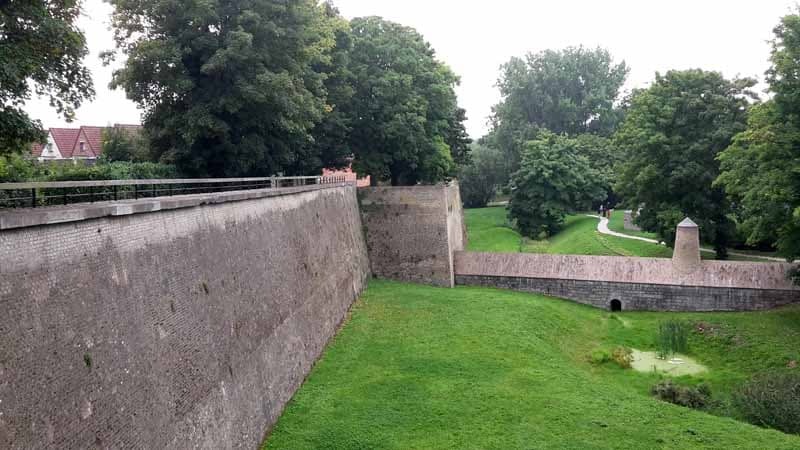 Upon arrival in France, we headed to a campground in Bergues, a lovely old walled town south of Dunkirk. The following morning we headed north along the coastline first through Belgium and the Netherlands. We used the Westerchelde toll tunnel to avoid passing through Antwerp congestion and camped at the beach in Domburg. 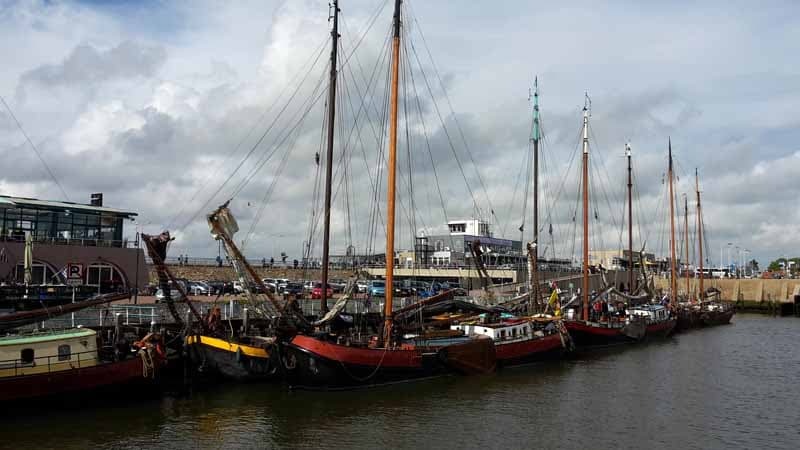 The next day we skirted Rotterdam and Amsterdam and crossed the Ijsselmeer causeway. Our evening stop was the lovely historic port of Harlingen. We pulled in for lunch the following day in Lauwersmeer National Park. There we enjoyed a lovely walk around the lake toward a marina complex. 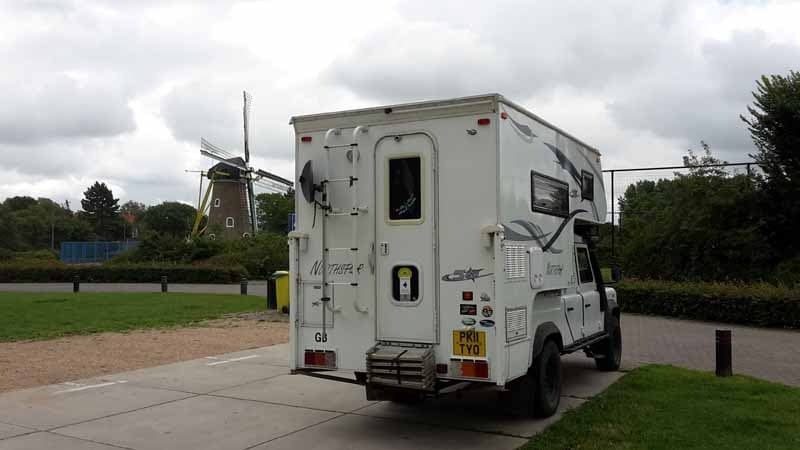 Our satellite navigation was giving us a few issues so we stopped in Groningen at a Euronics store and bought a new large screen Garmin DriveSmart GPS. Then we crossed the border into Germany and spent the following night in a campground in Sande south of Wilhelmshaven. We had hoped for views of the sea but were thwarted by a flood defense barrier covered in sheep. Anya, our English springer spaniel, had to stay on the lead as she can’t always be trusted not to give chase. The following day we crossed the Elbe River near Hamburg and found a car park with an adjacent restaurant in Kollmar. Up to that point, we had traveled through countries we had previously visited with the camper.